We are continuing the Schools Spotlight Blog series today with a closer look at Haileybury Turnford. This coeducational Secondary and Sixth Form School, located in Hertfordshire, has academy status and is sponsored by the historic Haileybury and Imperial Service College. 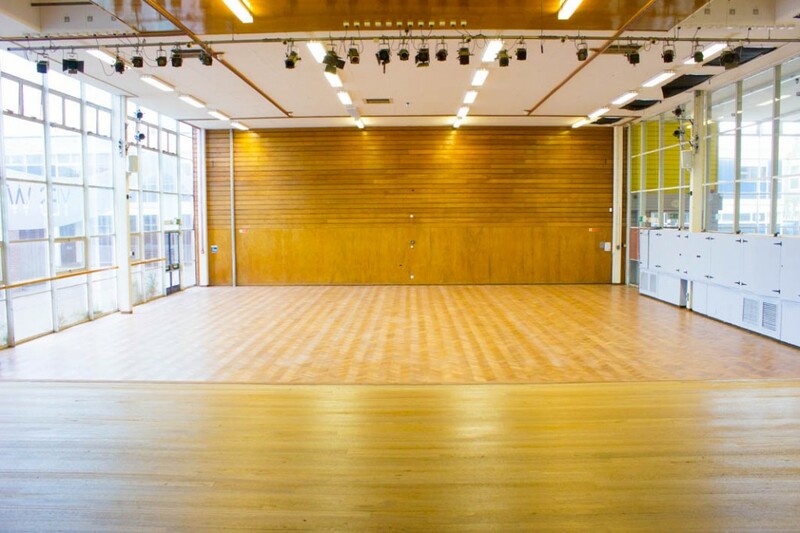 To start the virtual tour right it seems appropriate to begin at one of the best looking venues in the Schools Plus catalogue, Haileybury Turnford’s Dance Studio. This frequently popular Studio is in prime condition to cater to a variety of dance groups and fitness classes. 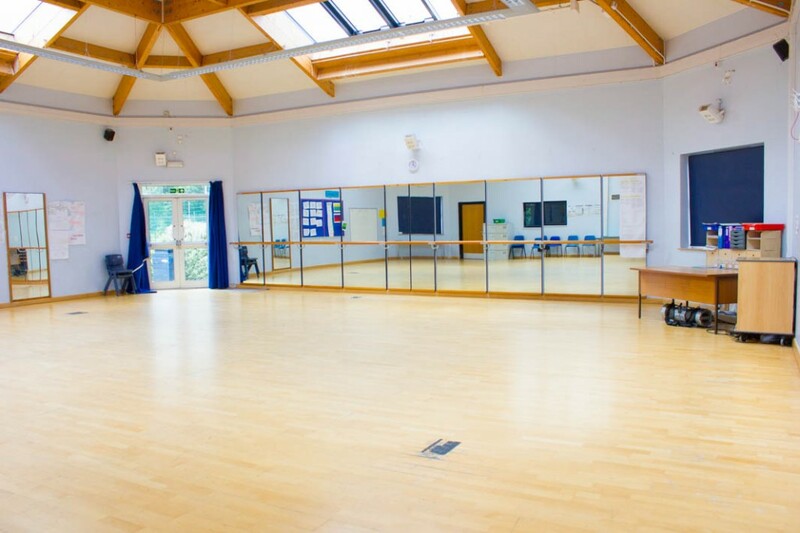 A unique feature of this stunning Studio is the mirrored wall and Ballet barre, making this a great place for Ballet classes to rehearse and perform. Following on from the Dance Studio, another great place to arrange fitness classes or other active events is the Gymnasium. This multi-functional venue can hold up to 60 people and is the go to facility for indoor sport orientated bookings at Haileybury Turnford. A perfect space for Basketball, Mini-Football games or Gymnastics. If you’d like to take your sport bookings outside then Haileybury Turnford also have a premier Astro Turf venue ready to host a wide variety of football bookings – from a single 11-a-side game to potentially three 7-a-side games at once. 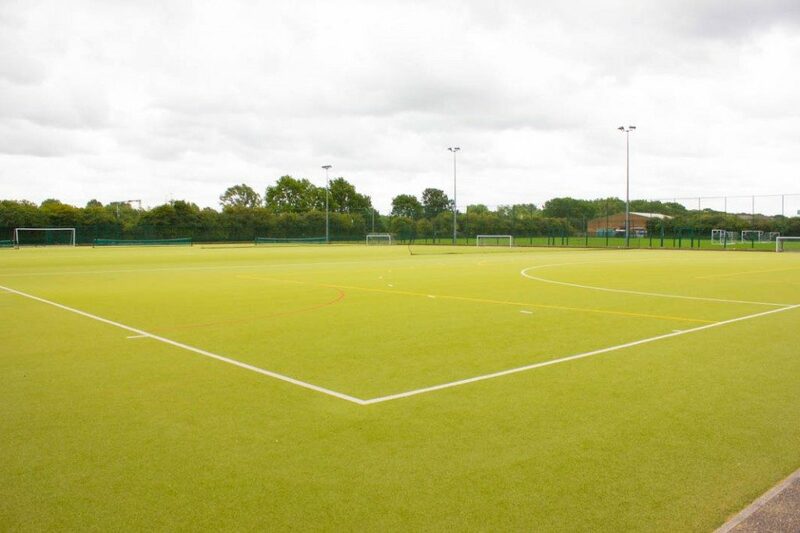 The 50cm x 75m pitch comes with optional floodlight use. Although predominantly used for football bookings, there is potential for the Astro Turf to be booked for other large outdoor activities. Moving away from the active orientated side of bookings at Haileybury Turnford, it’s time to look at the central hub of the School; the Main Hall. This large space, with its 200 person capacity, is a popular venue for a wide variety of customers – including Businesses for meetings, Worship Groups for events and Clubs for hobby classes. A fairly unique feature of the Hall is its raised stage area, making this space a great booking opportunity for large drama class rehearsals and performances.